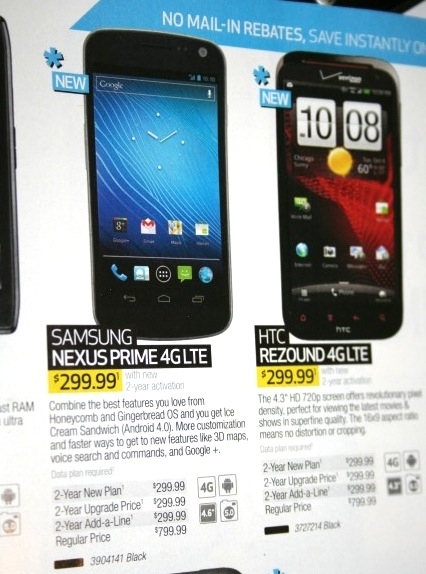 Leaked Best Buy ad shows Nexus Prime instead of Galaxy Nexus | Android Blast! Someone in the Android Forums got their hands on an upcoming Best Buy ad that show a "Nexus Prime" with a start date of November 27. Everyone has been expecting this phone to be called the Galaxy Nexus, even though we heard rumors of a Nexus Prime months ago. So which is it Verizon? Nexus Prime or Galaxy Nexus? I guess we'll just have to stay tuned.